Home » Gourmesso vs Nespresso vs HiLine: Which is Best for Nespresso Original Line? Nespresso may make up for only a portion of all coffee machine sales, but it’s a powerful player, especially for anyone seeking specialty coffee. Founded in 1986 and managed by Nestle, Nespresso is now sold in 76 countries, and in as early as 2013 reported sales exceeding $300 million, the same year Nespresso made waves in the American market by launching Vertuoline machines. Nespresso is prized for superior and specialty coffee, and especially the rich crema it produces with its espresso and coffee. It’s considered one of the best coffee machines for specialty and luxurious coffee and espresso and prized for brewing drinks unlike what you’d get from a typical automatic coffee machine. But there’s a very limiting factor: the coffee pods themselves. Unlike some other machines that can accept any coffee pods, part of the specialized brewing system for most Nespresso machines operates by using laser technology to scan the barcodes on coffee and espresso pods for perfect brewing instructions. That can be limiting for two reasons; cost and variety. While Nespresso does offer its own pods in a variety of roasts and variations, there isn’t much wiggle room in terms of prices and flavors. That’s where alternative pods come in. Now, companies like Gourmesso and HiLine have created alternative coffee and espresso pods that purportedly work with the Nespresso brewing system. But do these pods hold any advantages over the Nespresso name brand pods? And between Gourmesso, Nespresso, and HiLine, which pods are best for Nespresso brewers? Why should I consider an alternative to Nespresso pods? 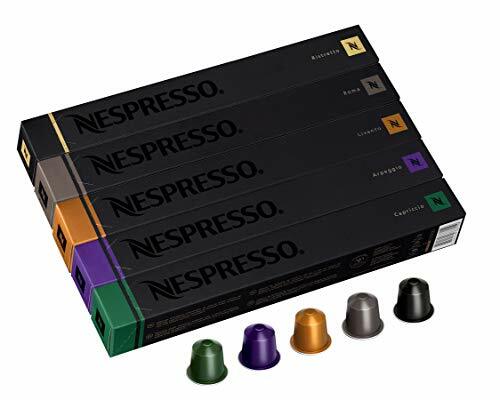 There are too many reasons why someone might look for an alternative to Nespresso’s Nespresso pods; price and variety. By seeking an alternative to Nespresso brand coffee and espresso pods, consumers are given more options, and that most of the time is a truly positive thing. Of course, Nespresso pods are designed to specifically work in Nespresso line machines. Gourmesso and HiLine are fairly new to the market, Gourmesso and HiLine have emerged as competing, mostly cheaper alternative to Nespresso pods, at the same time touting commitment to high-quality coffee and espresso. At best, these alternatives provide new ways to drink and enjoy coffee from a Nespresso, and at worst, some alternatives could not work at all. We’ll take a look at what each brand has to offer in terms of price, quality, and variety, and compare which is the best for Nespresso brewers. But a word of caution: these alternatives only work for Original Nespresso, not the Vertuoline. Do not attempt to purchase alternatives for the Vertuoline as they will not work. 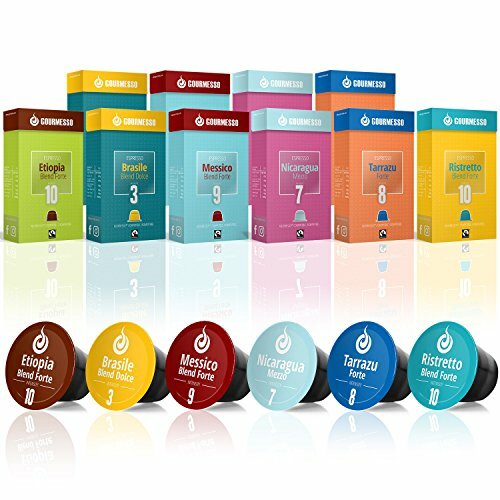 Gourmessosupplies alternative pods to both Keurig and Nespresso machines is based in Europe and has been available in the United States since 2014. 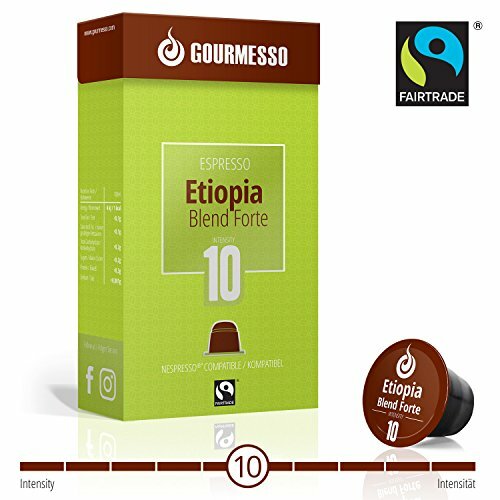 Headquartered in Berlin, Gournesso’s main objective is to provide “high quality” espresso that tastes excellent, at a lower price than Nespresso’s name brand pods. 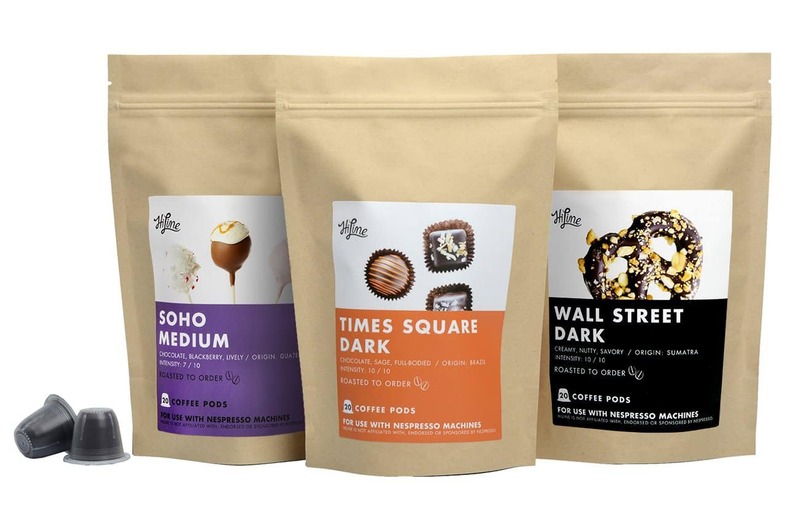 They also emphasize their mission of providing customers with a wider array of specialty coffee options, in hopes of introducing customers to new and rich, bold and aromatic flavors and varieties. Their American headquarters is situated in Miami, Florida. Based upon Nespresso alternative pods on Amazon, customers seem quite pleased with Gourmesso. 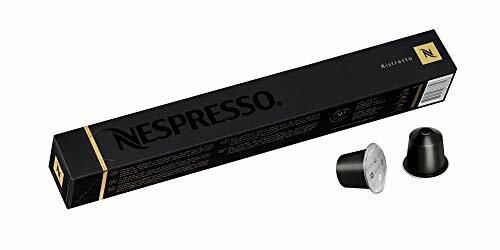 With over eight hundred reviews, users gave Gourmesso espresso pods for Nespresso an average four out of five star rating. Almost sixty percent of customers enjoyed the flavor and aroma of the pods and were pleasantly surprised that they were compatible with Nespresso’s Original machines. There were however, many complaints, despite the the high rating overall. For one, at least for this variety bundle, only the sleeve was labeled; individual pods were not. Most users said the taste was decent, but many noted that coffee itself was much weaker than Nespresso, especially for darker roasts. Others noted a weak finish, and some users had issues with a few defective pods. For most, Gourmesso pods impressed with variety and price and were pleasant enough taste wise, but could not much the richness and quality of Nespresso pods. Other issues, like the lack of individual labeling, could possibly vary with the product. It seems that the pods were acceptable and a better price point, but not as robust and rich–hence leading customers to debate whether they preferred the pods for the price or not. Gourmesso coffee and espresso pods come from different places around the world. Blends will tell you where they come from, but it a bit more general, usually supplying an entire continent as a growing region as opposed to a specific region. There is no indication that the coffee or espresso, in any variety, is of single origin. However, Gourmesso does note that it supplies its coffee through a set of standards that impacts the quality. What we mean by coffee guidelines is simply investigating an umbrella of labels that relate to the quality and impact of the coffee itself and the coffee’s production. In this category, we include things such as Fair Trade, Organic, Single Source, adherence to environmental stewardship, and anything else affecting the growing, harvesting, and production process. Rainforest Alliance: For some of its espresso and coffee, Gourmessopartners with the Rainforest Alliance, which requires that coffee be grown and harvested in compliance with standards that support environmental stewardship. Fair Trade and Organic: Gourmesso offers a modest selection of Nespresso pod alternatives that are both fair trade or organic, with a total of seven varieties, though the majority of the coffee and espresso they sell is not. In terms of variety alone, Gourmesso has a much wider selection than Nespresso pods. Within each category, there are options for a variety of roasts and flavor profiles. Note that some categories overlap; for instance, is a pod is both Fair Trade and espresso. Espresso: Choose from twelve different varieties of espresso, including Gourmesso blends and options like Nicaragua Mezzo, Brasile Dolce Blend, Peru Decaf Blend, and Tarrazu Forte. Nearly all are dark roast espresso blends, with two light roast options. Lunguo: Here you have a three to five ratio of medium to dark roasts, and no options for light roasts. Select from house and Arabica and Latino Mezzo blends. Flavored: All flavored coffee is available in dark roast only. Flavors include Chocolate, Vanilla, Caramel, Hazelnut, Coconut, Almond, Toffee Nut, Biscotti, and Decaf options for Vanilla and Chocolate, as well as a variety pack. Decaf: Gourmesso does a nice job in terms of offering a little more for decaf drinkers; although there are still only a few options, you can buy flavored, espresso, house blends, and a bundle. Plus, there are options for light, medium, and dark roasts. Fair Trade and Organic: see above. Other Options include bundles and a variety of tea. It’s always tricky to compare prices especially with individual sellers or deals on Amazon, so for fairy and easy comparison we’ll take a look at prices on each company’s website. Unlike Nespresso, most of Gourmesso is priced by a package rather than by pod, and different varieties are priced a bit differently. While there are better deals if buy in bulk, in general, pods run about or just under fifty cents a piece. Sometimes it is even less, because Gourmesso has different promotions, but at a normal price excluding massive bundles, this is a fairly decent estimate. That’s about twenty cents cheaper per pod than Nespresso, sometimes more. 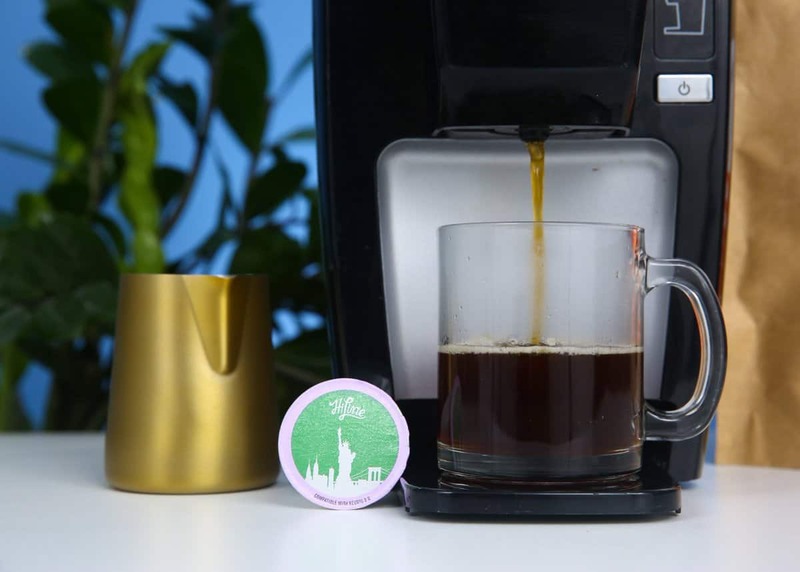 HiLine is another espresso and coffee pod alternative to Nespresso brand pods, roasted in New York and provides products not only for Nespresso and Keurig machines, but also ground coffee to be used with Moka Pots, French Press, Chemex, and drip coffee makers. All coffee is directly shipped and packaged rather than going through a labyrinth of retailers and a lengthy chain of production. The company has been featured in prominent outlets such as NPR and the Wall Street Journal. Their “mission is to provide the highest quality coffee for single-serve coffee makers” with an emphasis on freshly roasted specialty coffee. Coffee is shipped right after roasting. To try to make the comparison as equal as possible, we took a look at reviews for a variety pack of Nespresso alternative pods via Amazon. 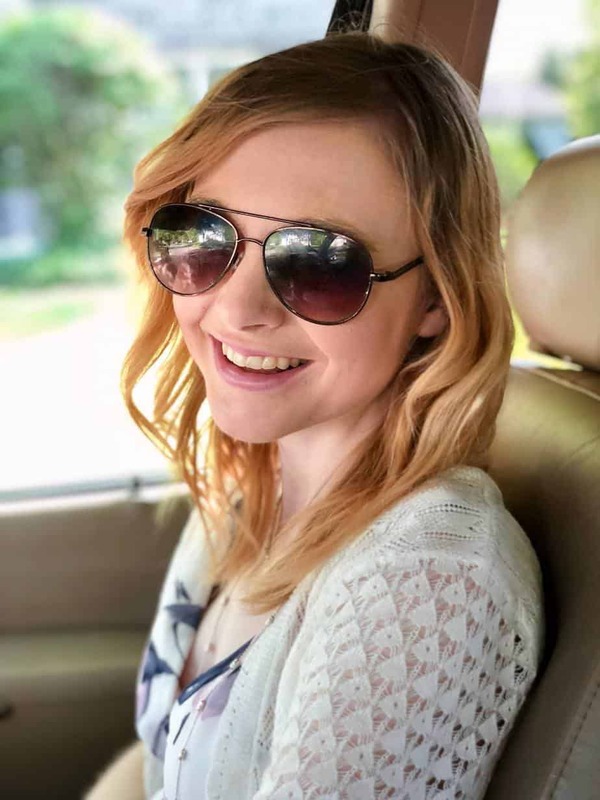 The average rating was a bit lower, with three out of five stars and much less reviews–a little over a hundred and fifty. Those with high praise for the pods noted smooth and rich flavors, with a greater emphasis on individual flavor notes than you’d normally get with Nespresso pods. Complaints varied. Some had issues with pods staying situated in their Nespresso machines, while others noted that the depth and boldness of the coffee could not match Nespresso. Many compared the result to drip coffee rather than espresso, though it did produce a nice crema. Like Gourmesso, coffee is not a single origin but sourced around the world, with a variety of fairly broad growing regions. However, there is a little more attention and specificity in that HiLine partners with farmers that grow coffee in high altitude regions of Latin America, Africa and Southeast Asia, with an emphasis on smaller growing lots, which speaks more to the sourcing and standards of the coffee. Both higher altitudes and smaller production plots are generally conducive to higher grade and better tasting, more flavorful coffee. 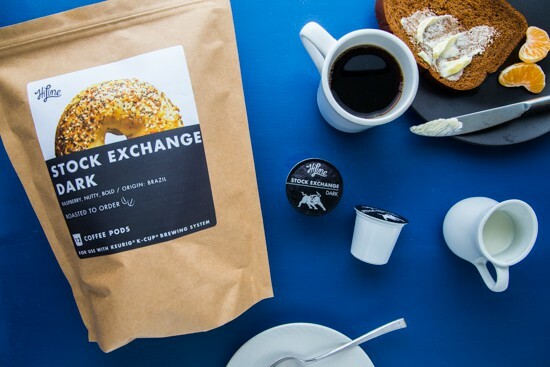 In addition to being sourced in partnership with small plots and higher altitude growing regions, HiLine coffee and espresso pods do have a handful of coffee that it in compliance with the Rainforest Alliance and Fair Trade. They only offer any one organic coffee or espresso at this time. There’s certainly an emphasis on custom blends and flavors, and there’s a fair balance of medium, light and dark roasts. There is also a single option for organic coffee, though it sounds like they plan on offering more options in the future. Every variety is priced differently, but most come with 20 pods for a package and cost about twelve dollars for blends, fourteen for flavored varieties, and sixteen for organic and the Kona blend. You’ll slash only about ten to fifteen cents, sometimes much less, off of Nespresso brand pods, so they are certainly less expensive than Nespresso, but generally not as cheap as Gourmesso. In order to determine whether or not Gourmesso or HiLine are better options, we have to compare them against what they are competing as an alternative for, We won’t go into the details of Nespresso as a whole (be sure to read our Nespressoreviews), but make a quick and simple comparison to our already extensive review of Gournesso and HiLine in each category. While a bit harder to find, Nespresso does talk at length about its espresso and coffee pods through its blog. There’s an emphasis on process, as well as specialty and gourmet cee and espresso blends. Nespresso is owned by Nestle and first became popular in Europe but has since also flourished in the United States. 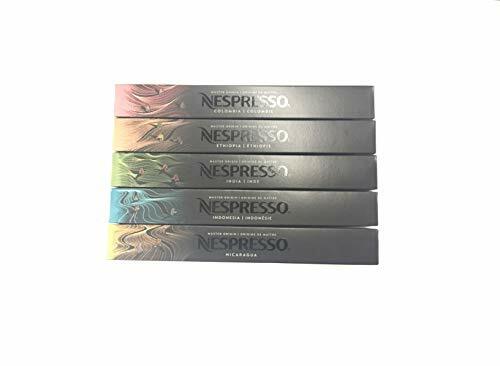 On Amazon, Nespresso pods variety packfor the original line of Nespresso machines held the highest average review of the three options, coming in at just a bit over four out of five stars for a total of an incredible 2,220 customer reviews. Users praised the smooth, rich finish; aa well as robust flavors that could not be matched by alternatives. Most of the complaints centered around not the quality, but the pods themselves being too flimsy: because of this, we suggest buying straight from Nespresso rather than through Amazon. Like its alternatives, Nespresso features a variety of specialty blends and does not make not of a specific coffee origin for all of its coffee. However, Nespresso does work directly in partnership with farmers in Jardin, Colombia and promotes third wave coffee, where there is more involvement and transparency in terms of coffee harvesting and production. Most of the producers in partnership with Nespresso are small scale farmers and the partnership in this specific growing region is now over two decades old. Within the partnership, there is a push for environmental sustainability and biodiversity. Nespresso also offers a ‘pure origin’ line of pods that are single origin from parts of Brazil, India, and Guatemala. There are not specific designations for organic options. We are only focusing on the original line machines for the purpose of this review, though of course Nespresso also offers coffee and espresso pods for its other lines as well. 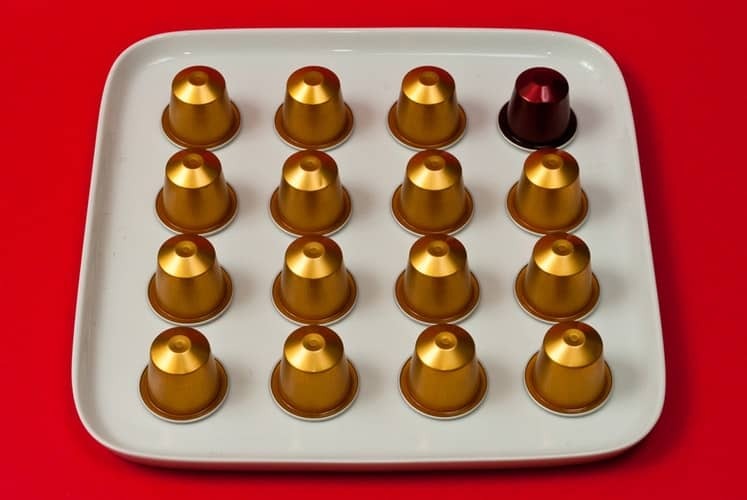 In general, compared with alternatives, Nespresso used to offer less but is not competitive in terms of variety. Nespresso places a special emphasis on the roast and strength, with a rating scale of one to twelve, twelve being the most potent. While alternatives do this some, it is front and center when you’re browsing Nespresso coffee. They also do a nice job of noting specific flavor notes. Limited Edition and Limited Festive Edition: Inspired by Parisian artisan coffee, limited edition options include Macaroon, and Praline flavored coffee. There’s also limited edition Auro de la Paz and Cuban Coffee. It’s possible, but unclear if there will be more limited edition and/or seasonal coffee and espresso pods in the future. Intenso (8-12 rating): Your boldest and richest coffee options include Kazaar (intense and syrupy; 12); Dharkan (long roasted and velvety; 11); Ristretto (powerful and contrasting, 10), among others. Espresso: For espresso, you can select from sweet and light to round and balanced roasts and varieties, for a total of four options. [easyazon_link identifier=”B07HP8TR2M” locale=”US” tag=”2caffeinated-20″]Master Origin[/easyazon_link]: This line includes single source coffee from regions of India, Indonesia, Columbia, Nicaragua, and Ethiopia. Lungo: Four, nine and eight levels of intensity are available to you, with flavor notes varying from ‘potent and carmelized’ to ‘round and smooth’. 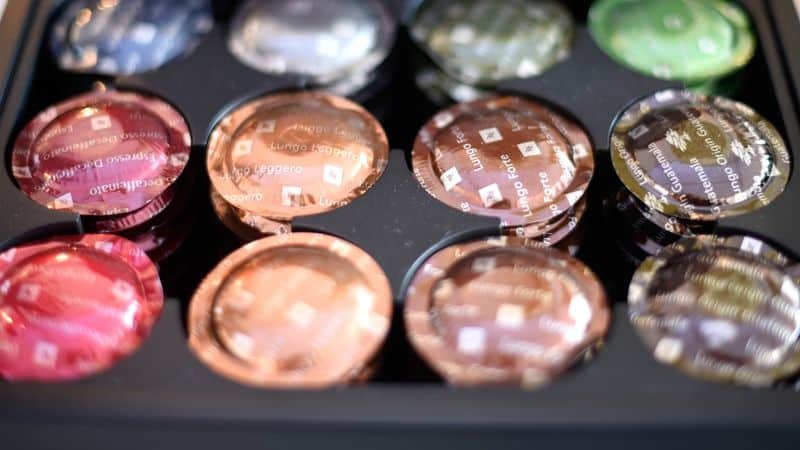 Decaffeinated: Compared with its alternatives, Nespresso offers the better bet for decaffeinated selections, from intense and light to deep and complex. While there are only four options in this category, it has more depth of flavor variety than its alternatives. However, we would also like to see decaf options for flavored coffees. There’s a little less variety in this category, but you get to choose from classic vanilla, caramel, and chocolate flavors. As you probably knew before reading this review, and likely the reason you started reading in the first place, Nespresso is generally the most expensive, averaging on the company’s site at seventy to seventy five cents per pod; there are also fewer options to buy in bundles. However, the Original line is cheaper than the popular Vertuoline, which, as we mentioned, does not have any alternatives. For overall quality, flavor, origin, and variety, pick Nespresso. It seems you just can’t beat the original. Single source coffee options, local partnerships, and an emphasis on flavor notes makes Nespresso pods hard to beat. Plus, while there were exceptions, most users noted you simply couldn’t beat the flavor and rich aroma. If you really want to save money, go with Gourmesso. 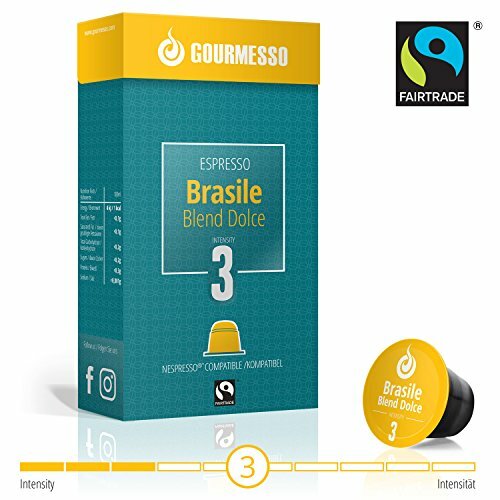 Of the two alternatives, Gourmesso has the highest average customer reviews and seems to still have a lot to offer in terms of bold flavor, if not quite as good as Nespresso. If you need organic coffee, for now, you’ll have to look to either Gourmesso and HiLine. While Nespresso’s partnership with small farmers and its commitment to biodiversity is great, there isn’t much on offer for certified organic coffee or espresso. Previous Post: « The Best Coffee for Chemex On The Market!